Whether you're new to self storage or you're an expert, we have plenty of hints and tips to help you save money and move safely. From decluttering to making sure you visit the tip, we have years of experience helping people with their self-storage solutions. And at the end of the day, you can always pop down to our stunning fly fishery to relax and unwind. We thoroughly recommend a good declutter before choosing to store your possessions. After all, there's no point storing stuff you don't need or want. If the thought of having a clear out brings you out in a cold sweat, then there's plenty of advice available online. ​Leo Babauta at Zen Habits, for instance, recommends 18 different 5-minute decluttering tips while Colleen Madsen at 365 Less Things recommends you give away one thing a day for a year as a way to declutter. You may also try the Oprah Winfrey Closet Hanger Experiment, take the 12-12-12 challenge, use the Four Box Method or try many other decluttering techniques and skills. At the end of the day however, the point is quite simple the more "decluttering" the less you'll have to store. ​Once you've decided what you want to store and removed all the clutter, next it's time to chose the right size storage unit to meet your needs. At Meon Springs, we're flexible. Which means that when you get your storage goods down here, we'll be able to assess what you have and help you choose the right amount of space for your needs. You've booked your unit - the next step is to work out how to get your stuff here. 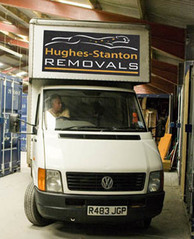 Are you going to attempt the move entirely on your own, hire a removal firm to do it all - or something in between. If you need help we can recommend van hire companies, removal firms and courier firms that might be able to assist. Please feel free to contact us for more information. Good packaging for storage is really important, not only to protect your goods but also to maximise the use of space and ensure that you can find what you want when you want. We don't provide packaging, however there are many good websites where you can buy storage packaging online. Did we say you need to declutter your belongings before you even think about putting things in storage? Even if you have done this is always worth sorting your things right up to the day you visit us. 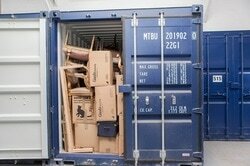 If needs be, go to the tip before going to your storage unit. And when it comes to storing your belongings, your items should be packed in an organised, methodical and professional way. If need be, get some shelving in the unit, or use one of our archive units for the boxes, leaving more space for the more bulky goods. As with most other self-storage facilities, it is your responsibility to secure your unit. However, we do provide padlocks should you wish to use them. 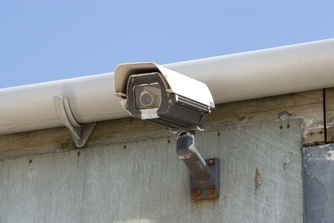 Here at Meon Springs, we have CCTV coverage across the whole site and a fully monitored alarm system. 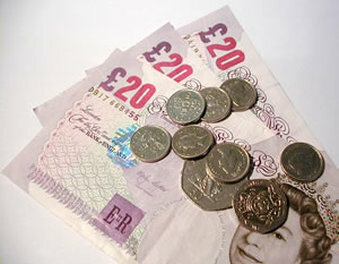 We also believe in going the extra mile - which is why we insure your goods - subject to an upper limit - at no extra charge. And if all moving boxes and furniture has worn you out, feel free to pop down to the fishery lodge to unwind. You'll be more than welcome. After all, relaxing is one thing we do well at Meon Springs. As well as our self storage facility, we run a premier fly fishery and offer award-winning glamping holidays.